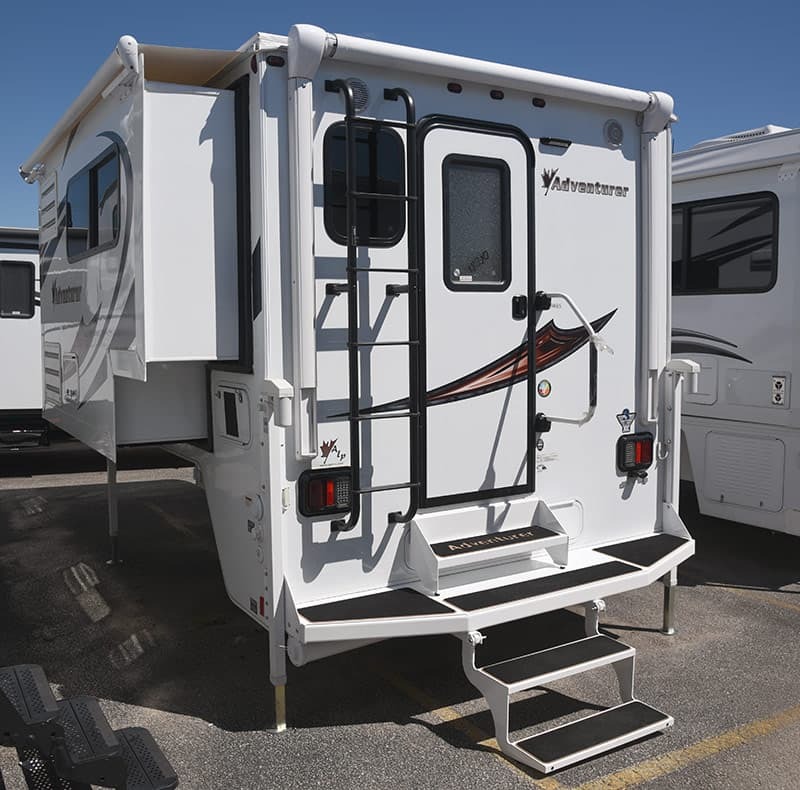 Adventurer announces new Happijac jacks, two-way tread bumper steps, a new audio/video system with HDMI standard, cabover USB charging, omni-directional HDTV antennas, and more standard features. And an all-new 50th anniversary model is on the way. Adventurer Manufacturing announces annual model year updates more than any other truck camper manufacturer on Earth. That might come as a shock to some industry veterans and truck camper enthusiasts, but the evidence is right here. Go to Truck Camper Magazine’s back issues and you’ll see Adventurer Manufacturing’s annual announcements like clockwork; May of 2018, June of 2017, May of 2016, July of 2015… More importantly, Adventurer’s model year updates consistently contain meaningful changes, discontinued models notifications, and new camper news. Where other truck camper manufacturers either don’t update their campers every year, or don’t report their updates publicly, Adventurer makes steady model year updates, announces them in Truck Camper Magazine, and debuts promised new campers on schedule. There’s another significant aspect of Adventurer Manufacturing’s new model year conduct that deserves praise. Adventurer Manufacturing holds their model year change until they are ready to deliver campers that contain that model year’s updates. Put another way, when you step into a 2019 Adventurer truck camper, it will have the 2019 Adventurer updates. 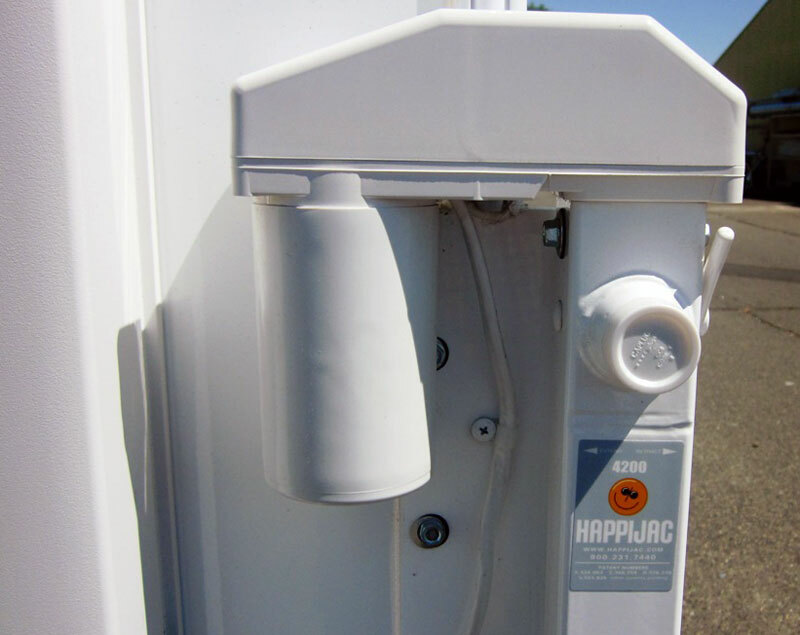 Unfortunately, this isn’t standard policy in the RV industry. Too many manufacturers change model years early simply to one-up each other, and push retail sales. These “new model year” units are 100-percent identical to the previous model year, minus the new model year designation and sticker. Truck Camper Magazine believes this is both misleading and dishonest, and celebrates Adventurer for not following this regrettable industry practice. For 2019, Adventurer has some very exciting news. Not only are they continuing to advance and refine their truck camper line, but they’re also working on a breakthrough new model to celebrate 50 years of truck camper manufacturing. For now we have to be satisfied with a tease and a few morsels of information. Thankfully, that’s not all that’s been going on in Yakima. TCM: Is Adventurer announcing any new models, or discontinuing any models for 2019? Greg: As we have done many times in the past, we allow the marketplace to direct which models stay in production and which are discontinued. For 2019, we are discontinuing the 86SBS. It was our number one seller for many years, but the 89RBS has cannibalized its sales. The 89RBS has been a huge success because of its ability to fit long and short bed trucks, generator compatibility, and wide open floor plan. The Adventurer 89RBS also won Truck Camper Magazine’s Readers’ Choice Award for Best Truck Camper of 2016, and is now our number one slide-out model. TCM: Adventurer hired an interior design team and redesigned all of its interior decors for 2018. For 2019, you are changing the base fabric to a darker color. What’s behind this change? Greg: It’s a very minor change. You really can’t notice it in photography, and can barely see it in person. The color is just a shade darker so it doesn’t show dirt as much. Look at it in person, I can’t really tell the difference. TCM: Has one of the 2018 interiors out performed the others? Which one do folks like the most? Greg: Typically one does stand out as more popular, but that hasn’t happened with the new interiors. The news decors have been equally popular. When we build open units in a run we build Four with Carbon, three with Bark, and three with Chestnut. They have been very consistent.